TEHRAN (Tasnim) – The European Union expressed its “resolute commitment” and “continued support” for the 2015 nuclear deal between Tehran and world powers, stressing that it will continue working with the international community to maintain the multilateral accord despite Washington's withdrawal. “The EU expresses its resolute commitment to and the continued support for the Joint Comprehensive Plan of Action (JCPOA) and is determined to continue working with the international community to preserve the JCPOA, an important multilateral achievement, unanimously endorsed by the UN Security Council Resolution 2231 (2015),” the EU said in a statement read out Tuesday at the IAEA Board of Governors meeting in Vienna. It came after the director general of the International Atomic Energy Agency (IAEA), Yukiya Amano, on Monday said Tehran was implementing its nuclear-related commitments under the JCPOA. Following is the full text of the EU’s statement. 1. I have the honor to speak on behalf of the European Union and its Member States. The following countries align themselves with this statement: Turkey, North Macedonia, Montenegro, Iceland, Serbia, Albania, Bosnia and Herzegovina, Liechtenstein, Norway and San Marino. 2. 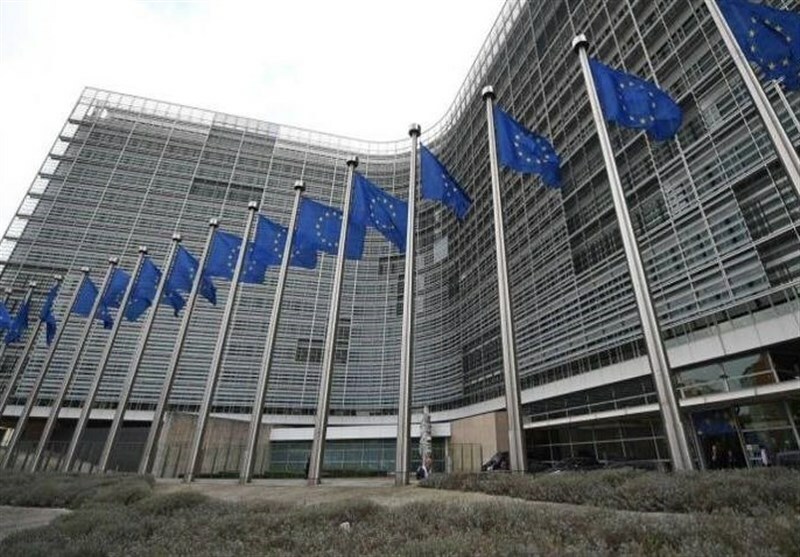 The European Union would like to thank the Director-General for his report contained in document GOV/2019/10 on the Verification and monitoring in the Islamic Republic of Iran in light of United Nations Security Council Resolution 2231 (2015), and the Secretariat for the technical briefing on 27 February 2019. 3. At the outset, the EU would like to reiterate its position that it regards the Treaty on the Non-Proliferation of Nuclear Weapons (NPT) as the cornerstone of the global nuclear non-proliferation and disarmament architecture. 4. The EU expresses its resolute commitment to and the continued support for the Joint Comprehensive Plan of Action (JCPOA) and is determined to continue working with the international community to preserve the JCPOA, an important multilateral achievement, unanimously endorsed by the UN Security Council Resolution 2231(2015). The JCPOA is a key element of the global nuclear non-proliferation architecture and is crucial for international security. It is the culmination of more than ten years of diplomacy, which has been working and delivering on its main goal: to provide the international community with the necessary assurances on the exclusively peaceful nature of Iran's nuclear programme. Alongside verified implementation by Iran of its nuclear-related commitments, the lifting of nuclear-related sanctions is an essential part of the agreement. 5. In this context, the EU deeply regrets the withdrawal of the United States from the JCPOA. As confirmed by fourteen consecutive reports issued by the IAEA, Iran has continued to implement its nuclear-related commitments, subject to the comprehensive and strict verification and monitoring system of the IAEA, and it must continue to do so. We welcome that the IAEA evaluates all safeguards relevant information available to it in line with standard practice to underpin its verification activity. We encourage it to continue to do so as new information becomes available to it. 6. The EU recalls that as long as Iran continues to fully implement its nuclear-related commitments, the EU will remain committed to the continued full and effective implementation of the nuclear deal. We call on all parties to implement all parts of the JCPOA fully and effectively. 7. The EU commends, once again, the Director-General and the Secretariat for their professional, technical and impartial work in verifying and monitoring Iran's nuclear-related commitments under the JCPOA. We welcome the information in the report and the useful complementary details provided in the technical briefing on the implementation by Iran of its nuclear-related commitments under the JCPOA. 8. We encourage the Director-General to continue to provide further detailed information (as outlined in paragraph 4 of Board of Governors Resolution GOV/2015/72 of 15 December 2015) on all nuclear measures listed in all sections of Annex I of the JCPOA in his future reports. This will be essential to enable the Board to gain a full understanding of the ongoing JCPOA implementation and to react promptly should any issue arise. 9. The EU fully supports the IAEA's long-term mission of verification and monitoring of Iran's nuclear-related commitments and recalls the importance of ensuring the necessary resources – including sufficient and sustainable extra-budgetary funds - for the Agency to carry out its role. To that end, we take note with concern that as of 20 February 2019, only €.1 million extra-budgetary funding is available, which is insufficient to cover the costs of JCPOA related activities for 2019 and beyond. 10. Implementation Day marked the beginning of Iran's provisional application of the Additional Protocol to its Safeguards Agreement, pending its entry into force, and the implementation of the modified Code 3.1 of the Subsidiary Arrangements to its Safeguards Agreement. In this regard, the EU welcomes that the Agency "continued to evaluate Iran's declarations under the Additional Protocol and to conduct complementary accesses under the AP to all the sites and locations in Iran which it needed to visit". The EU fully supports the Secretariat in this regard and notes the DG’s comment in para 23 of his report (GOV/2019/10) that "timely and proactive cooperation by Iran in providing access facilitates implementation of the Additional Protocol and enhances confidence". 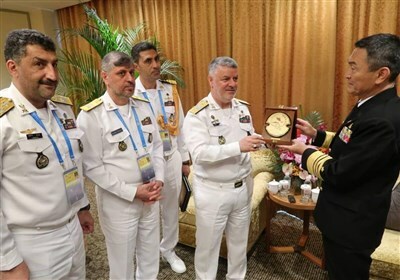 It remains important that Iran provides such timely and proactive cooperation on all requested access to all the sites and locations in Iran which the Agency needs to visit. 11. In addition, the EU welcomes that "the Agency's verification and monitoring of Iran's other JCPOA nuclear-related commitments continues, including those set out in Sections D, E, S and T of Annex I of the JCPOA". We ask the Director-General to continue to include references to developments on these aspects of Iranian compliance in his future reports to the Board. While welcoming the on-going implementation, the EU reiterates the need for Iran to continue abiding strictly by all its nuclear-related commitments, including for example by respecting the 130 metric tonnes heavy water limit, and cooperating fully and in a timely manner with the IAEA, including through implementation of its Comprehensive Safeguards Agreement and Additional Protocol. 12. The full and sustained implementation of the JCPOA together with reaching the Broader Conclusion is essential to help building international confidence in the exclusively peaceful nature of the Iranian nuclear programme. In this regard, the early ratification by Iran of the AP is essential. 13. We would like to request that, following past practice, this report be made public. Finally, with these remarks, the EU takes note of the Director General's report.